Germany: The value of the German Mark decreases to the level that it now cost about 1,000,000 Marks in exchange for one US dollar. Germany: The Olympic games in Berlin begin. In an effort to gain favorable public opinion from foreign visitors, Hitler has all anti-Semitic material (such as posters) temporarily removed from public view. To outdo the Los Angeles games of 1932, Germany built a new 100,000-seat track and field stadium, six gymnasiums and many other smaller arenas. After the Nazis took control of Germany and began instituting anti-Semitic policies, private discussions were held among International Olympic Committee delegates about changing the decision to hold the Games in Berlin. However, when threatened with a boycott by other nations, Hitler's regime relented and gave assurances that Jews and other athletes that did not "measure up" would be allowed to compete. 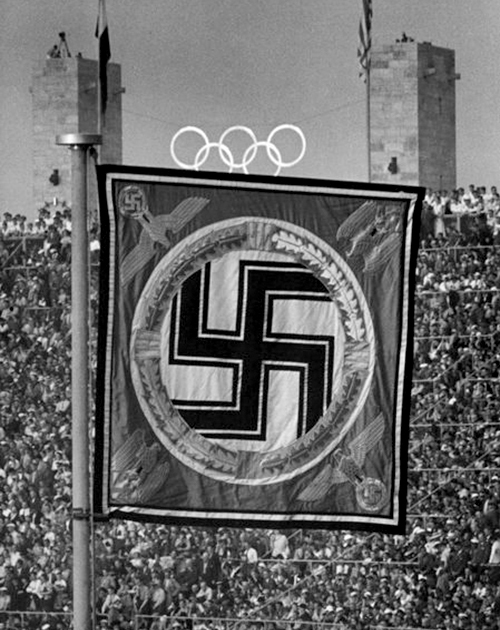 The Nazi regime opened all stops to stage the 1936 Olympic Games as a gigantic propaganda spectacle to promote Hitler's government, Germany's return to greatness and the ideals of Aryan supremacy. After the parade of nations and a speech by the president of the German Olympic Committee, the games were declared open by Adolf Hitler. It was described as an almost religious event, the crowd screaming, swaying in unison and begging for Hitler. The Games were the first to have live television coverage. The German Post Office broadcast over 70 hours of coverage to special viewing rooms throughout Berlin and Potsdam and a few private TV sets. Unfortunately, the quality was generally poor. Radio broadcasts reached live to 41 countries. Filmmaker Leni Riefenstahl was commissioned by the German Olympic Committee to film the Games. Her film, titled Olympia, pioneered many of the techniques now common in the filming of sports. American Jesse Owens emerged as the star of the show in Berlin. He won four gold medals in the sprint and long jump events and became the most successful athlete to compete. Germany was the most successful country overall with 89 medals total, with the United States coming in second with 56 medals. Spain: Day 16 of 985 of the Spanish Civil War. Spain: Day 381 of 985 of the Spanish Civil War. CBI - China: Day 26 of 2,987 of the 2nd Sino-Japanese War. Day 26 of 33 of the 2nd Battle of Hebei. Day 1 of 12 of the Battle of Chahar. Spain: Day 746 of 985 of the Spanish Civil War. Germany: Jewish medical doctors in Germany lose the right to have insurance. CBI - China: Day 391 of 2,987 of the 2nd Sino-Japanese War. Day 52 of 139 of the Battle of Wuhan. CBI - Russia: Day 4 of 14 of the Battle of Lake Khasan, a border dispute between the Soviet Union and Japan. Germany: The President of the German Lottery forbids the sale of lottery tickets to Jews. CBI - China: Day 756 of 2,987 of the 2nd Sino-Japanese War. Day 49 of 68 of the Battle of Tianjin. CBI - Mongolia: Day 83 of 129 of the Battle of Khalkhin Gol, a border dispute between the Soviet Union and Japan. UK: The British Order in Council declares the start of the grouse shooting season to be August 5th instead of the 12th. Atlantic: German sub U-34 sinks the British sub HMS SPEARFISH on the surface in the North Sea. Elsewhere, U-59 sinks the Swedish ship SIGYN 60 miles northwest of Ireland. ETO - UK: Day 23 of 114 of the Battle of Britain. The Luftwaffe bombs the Boulton-Paul Aircraft Works and the Norwich railway station. ETO - Germany: The RAF bombs the Krupp factory in Essen. USSR: Soviet Foreign Minister Molotov reaffirms Soviet neutrality and the Russo-German pact while verbally attacking both Britain and the US. MTO: Italian destroyer UGOLINO VIVALDI sinks the British sub HMS OSWALD 15 miles south of Sardinia in the Mediterranean Sea. Elsewhere, the Italian sub GOFFREDO MAMELI sinks the Greek ship ROULA 40 miles south of Crete, Greece. East Africa: Day 53 of 537 of Italy's East African campaign in the lands south of Egypt. CBI - China: Day 1,122 of 2,987 of the 2nd Sino-Japanese War. Day 261 of 381 of the Battle of South Guangxi. USA: The United States announces an oil embargo against all aggressor nations. ETO - UK: Britain breaks off diplomatic relations with Finland for invading Russia. Just over a year earlier, Britain had supported the Finns against the Russians. ETO - Denmark: Denmark establishes diplomatic relationship with the Japanese-sponsored puppet state of Manchukuo. Russian Front - Finland: Day 34 of 142 of Operation SILVER FOX, a joint German-Finnish campaign to capture the Russian port of Murmansk in the Arctic. Russian Front - Finland: Day 32 of 140 of Operation ARCTIC FOX, a joint German-Finnish campaign against Soviet Northern Front defenses at Salla, Finland. Russian Front - Finland: Day 41 of 164 of the Battle of Hanko. Russian Front: Day 41 of 167 of Germany's Operation BARBAROSSA, the invasion of the USSR. Russian Front - North: Army Group North continues advancing toward Leningrad, but at a very slow pace. Russian Front - Center: Day 27 of 31 of the 1st Battle of Smolensk, Russia. German Army Group Centre runs into fierce resistance near Orsha and Vitebsk (west of Smolensk). Russian Front - Center: Day 9 of 38 of the Battle of Gomel, Belarus. Soviets launch a counter-attack at Gomel (south of Mogilev) against German bridgeheads over the Dnieper River. Russian Front - South: Day 18 of 25 of the Battle of Uman, Ukraine. MTO - Libya: Day 114 of 256 of the Siege of Tobruk. Fighting flares up around the perimeter. RAF Blenheim bombers attack Axis vehicles at Sidi Omar. East Africa: Day 418 of 537 of Italy's East African campaign in the lands south of Egypt. CBI - China: Day 1,487 of 2,987 of the 2nd Sino-Japanese War. USA: The US Navy Bureau of Ordnance admits they are having problems with their torpedoes, but only that they are running 10 feet too deep. They still refuse to address the detonator failure issue. USA: The Musicians Strike begins against the major American recording companies over disagreements over royalty payments. The strike will lead to recordings being made on 78 rpm V-Discs for distribution and broadcast to armed forces fighting overseas. Atlantic: An interlocking convoy system is introduced along the entire US eastern seaboard, as well as throughout the Gulf of Mexico and the Caribbean. Russian Front - North: Day 328 of 872 of the Siege of Leningrad. Russian Front - North: Day 89 of 658 of the Siege of the Kholm Pocket. Russian Front - Center: Day 3 of 64 of the 1st Battle of Rzhev-Sychevka, Russia. German troops near Rzhev continue their attempts to break the encirclement. Russian Front - South: Day 35 of 150 of Germany's CASE BLUE, the failed offensive to take the Caucasus oil fields. German Army Group B continues fighting the Soviet defenders near Kalach at the bend of the River Don near Stalingrad. Russian Front - South: Day 10 of 20 of Germany's Operation EDELWEISS. German Army Group A begins fanning out in the Caucasus region. MTO - Egypt: US B-24s bomb the German tank repair depot at Mersa Matruh. Other B-24s attack an Axis convoy in the Mediterranean, sinking one merchant ship. East Africa: Day 89 of 186 of the Battle of Madagascar. CBI - Burma: The Japanese establish a puppet government in Burma. CBI - China: Day 1,852 of 2,987 of the 2nd Sino-Japanese War. Day 79 of 124 of Japan's Zhejiang-Jiangxi Campaign, launched to punish anyone suspected of aiding the Doolittle raiders in China. Roughly 250,000 Chinese will be killed. PTO - Alaska: Day 56 of 435 of the Battle of Kiska, Aleutian Islands. PTO - Malaya: Day 164 of 357 of the Battle of Timor Island. PTO - New Guinea: Day 12 of 119 of the Battle of the Kokoda Track. 5th Air Force provides air support. PTO - Solomon Islands: US 5th Army Air Force hits the north coast of Guadalcanal where the US invasion troops will be landing. 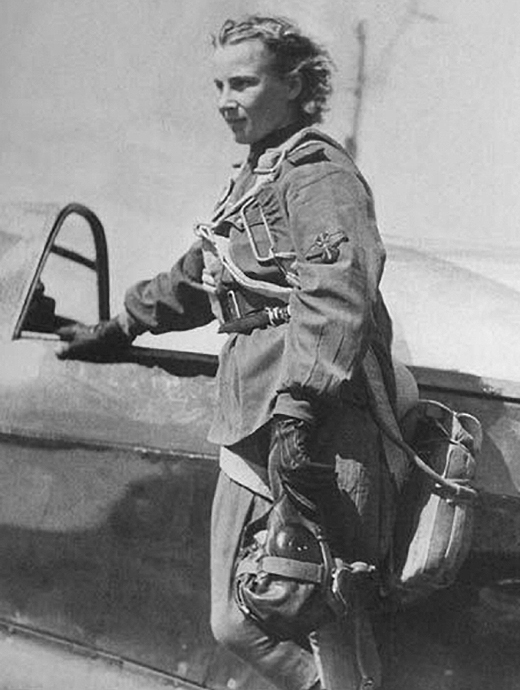 Russian Front - Center: The Soviet's top scoring Russian female fighter pilot of the war, Lydia Litvyak, one of very few female fighter aces, is shot down and killed near Orel, Ukraine. Lydia is credited with 12 solo victories, though some reports say 11 or even 13. On 01 Aug 43 she failed to return from her fourth sortie of the day. It took 36 years to find the crash site and discover her remains. 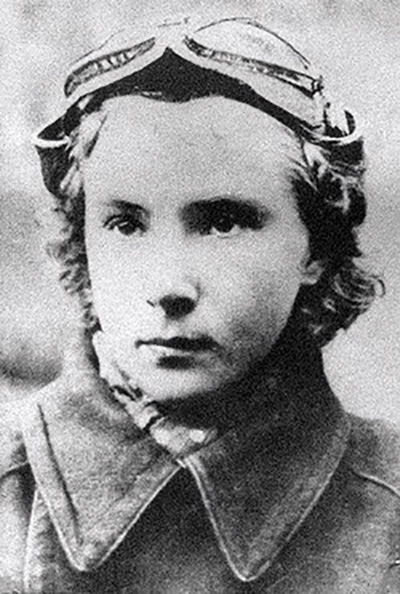 Lydia Litvyak, the "White Rose of Stalingrad"
On 06 May 90 Soviet President Mikhail Gorbachev posthumously awarded Litvyak "Hero of the Soviet Union." Her final rank was Senior Lieutenant. Russian Front - North: Day 693 of 872 of the Siege of Leningrad. Russian Front - North: Day 454 of 658 of the Siege of the Kholm Pocket. Russian Front - Center: Day 28 of 50 of the Battle of Kursk, Russia. Russian Front - Center: Day 21 of 38 of the Battle of Orel, Russia. Hitler orders his troops to evacuate the Orel area. Russian Front - South: Day 10 of 23 of the Battle of Belgorod, Russia. Soviet troops continue attacking in the Belgorod salient. Russian Front - South: Day 20 of 48 of the USSR's Lvov-Sandomierz Offensive. Soviet troops continue attacking at Sandomierz. 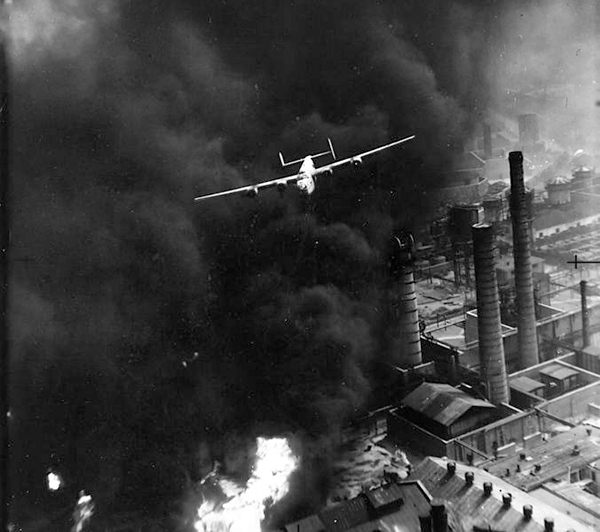 MTO - Romania: US 8th and 9th Air Forces: In Operation TIDALWAVE the US loses 54 of the 178 B-24s sent to raid the Ploesti oil fields in Romania. The costly raid comes to be known as "Black Sunday." The Ploesti Raid was a strategic bombing mission and part of the "oil campaign" to deny petroleum-based fuel to the Axis. This mission on 01 Aug 43 resulted in "no curtailment of overall product output," and so was deemed unsuccessful. The Third Reich, which had thought the Romanian oil fields to be too isolated to be able to be attacked by the Allies, now had to deploy massive amounts of men and equipment to defend the region, which would be relentlessly bombed in the future, especially once Allied bases were established in Italy. The Ploesti Raid was one of the costliest for the USAAF, with 53 aircraft and 660 aircrewmen lost. It was the worst loss ever suffered by the USAAF on a single mission to that date, which later would be referred to as "Black Sunday." Only 88 B-24s returned to Libya, of which 55 had battle damage. Additional B-24s ditched in the Mediterranean or were interned (a few landed in neutral Turkey). Some were diverted to the RAF airfield on Cyprus. One B-24 landed in Libya 14 hours after departing with 365 bullet holes in it. Five Medals of Honor and numerous Distinguished Service Crosses were awarded to Operation TIDAL WAVE crew members. MTO - Italy: Day 24 of 40 of the Battle of Sicily. RAF and US Air Forces provide air support. West of Regalbuto, the British encounter some of the toughest fighting seen during the war. Meanwhile, US troops continue advancing eastward along the coast toward Troina. CBI - Burma: The Japanese puppet government in Burma declares war on Britain and the Untied States. CBI - Burma: US 10th Air Force bombs the road bridge at Shweli, leaving it usable. CBI - China: Day 2,217 of 2,987 of the 2nd Sino-Japanese War. PTO - Alaska: Day 421 of 435 of the Battle of Kiska, Aleutian Islands. US 11th Air Force bombs the Main Camp area on Kiska Island. PTO - New Guinea: Day 102 of 148 of the 2nd Battle of Lae-Salamaua. US 5th and 13th Air Forces provide air support. PTO - Solomon Islands: Day 43 of 67 of the Battle of New Georgia. US 5th and 13th Air Forces provide air support. US troops capture the Munda airfield. USA: Future US President George H W Bush is promoted to the rank of Lieutenant JG (junior grade). ETO - France: Day 8 of 29 of the Breakout Battle of Normandy. The British continue Operation BLUECOAT, an assault toward the river Vire. Patton's US 3rd Army is activated. General Philippe Leclerc's 2nd French Division lands on Utah beach in Normandy. ETO - UK: Day 50 of 86 of the V-1 "Buzz Bomb" offensive on Britain. ETO - France: Day 57 of 62 of the Battle of Caen. Canadian troops continue attacking south of Caen. ETO - France: Day 1 of 284 of the Battle of Brittany. ETO - Netherlands: Anne Frank makes her last entry in her diary, ceaselessly trying, in the midst of her insane world, to improve her reasoning, knowledge and character. In three days she and her family will be betrayed and arrested in Amsterdam after two years of hiding in a secret warehouse annex. Russian Front - Finland: The Finnish President Risto Ryti resigns and is replaced by Marshal Karl Gustav Mannerheim, perhaps the greatest Finn ever. Russian Front - Finland: Day 7 of 19 of the Battle of Ilomantsi, North Karelia. Russian Front - Finland: Day 42 of 50 of the Battle of Karelia. Soviet troops continue their offensive against the Finns in eastern Karelia between Lake Ladoga and Lake Onega in northern Russia. Russian Front - North: Day 182 of 191 of the Battle of the Narva Isthmus, Estonia. Day 8 of 19 of the Battle of Tannenberg Line, Estonia. The Germans continue holding the Sinimaed Hills west of Narva. Russian Front - Center: Day 5 of 32 of the Battle of Kaunas, Lithuania. The Soviets take Kaunas and cut the roads from Germany to the Baltic states. Russian Front - Center: Day 15 of 16 of the Battle of Lublin, Poland. The Polish Home Army begins an uprising against Nazis in Warsaw but get no help from the Soviets on the other side of the Vistula River. MTO - Italy: Allied troops continue pressing the German line holding the Po Valley. CBI - Burma: Day 150 of 166 of the UK's Operation THURSDAY. US 10th Air Force provides air support. The Indian 111th Infantry Brigade, a Chindit formation, is allowed to return to front line service in Burma after recovering from poor health conditions. CBI - Burma: Day 145 of 147 of the Battle of Myitkyina. US 10th Air Force provides air support. CBI - Burma: Day 123 of 302 of the Chinese Salween Offensive. US 14th Air Force provides air support. CBI - China: Day 2,583 of 2,987 of the 2nd Sino-Japanese War. Day 107 of 259 of Japan's Operation ICHI-GO. Day 41 of 48 of the Battle of Hengyang. US 14th Air Force provides air support. PTO - Caroline Islands: US 7th Air Force hits targets on Ponape Island. PTO - Dutch New Guinea: Day 31 of 61 of the Battle of Noemfoor. Although the island has been declared secured, bitter fighting from Japanese continues. USS PUFFER sinks a ship in a nearby Japanese convoy. PTO - Mariana Islands: Day 9 of 9 of the Battle of Tinian. US Marines complete their capture of Tinian Island, losing 389 killed for 9,000 Japanese. PTO - Mariana Islands: Day 12 of 21 of the 2nd Battle of Guam. US 7th Air Force provides air support. Although this battle is declared as completed, it'll be a while before it's really over. PTO - New Guinea: Day 67 of 83 of the Battle of Biak. There are still 3,000 Japanese soldiers on the island who won't give up. PTO - New Guinea: Day 231 of 597 of the Battle of New Britain. US 13th Air Force provides air support. PTO - New Guinea: Day 102 of 481 of the Battle of Western New Guinea. 5th Air Force provides air support. PTO - New Guinea: Day 49 of 80 of the Battle of Lone Tree Hill. PTO - New Guinea: Day 23 of 47 of the Battle of Driniumor River, a failed Japanese offense on US troops near Aitape. PTO - Solomon Islands: Day 275 of 295 of the Battle of the Bougainville Islands. US 13th Air Force provides air support. CBI - China: Day 2,948 of 2,987 of the 2nd Sino-Japanese War. US 14th Air Force sweeps along the rivers, sinking several large junks and sampans. PTO - Borneo: Day 53 of 67 of the Battle of North Borneo. US 5th and 13th Air Forces provide air support. PTO - Japan: US 20th Air Force B-29s night bomb the Japanese urban areas of Hachioji, Toyama, Nagaoka, Mito and the Mitsubishi Oil Company at Kawasaki. CBI - Malaya: The USS BLENNY sinks three small Japanese vessels in the South China Sea. PTO - New Guinea: Day 583 of 597 of the Battle of New Britain. US 10th Air Force provides air support. PTO - New Guinea: Day 467 of 481 of the Battle of Western New Guinea. US 10th Air Force provides air support. PTO - Philippines: Day 285 of 299 of the 2nd Battle of the Philippines, aka the Liberation of the Philippines or the Philippines Campaign. PTO - Philippines: Day 230 of 244 of the Battle of Luzon. The battle is said to over but hold-outs will continue fighting until the end of the war. PTO - Philippines: Day 145 of 159 of the Battle of Mindanao Island. The battle is said to over but hold-outs will continue fighting until the end of the war. USA: President Truman signs the Atomic Energy Act of 1946, placing US nuclear weapon development in civilian hands.